Thermoplastic moulding. 1500va or 5 amp inductive load at 60mfd. Switching at 70 lux. IP20 rated. Remote Fix Miniature Photocell is rated 4.8 out of 5 by 5. Rated 5 out of 5 by Geemax from fit and forget! bought as a replacement ,previous one failed after 5 years due to water ingress, fitted in minutes . Also fitted one to switch 2 new lights on path a side of house , does the job and thats all thats needed. Rated 5 out of 5 by Parakeet from Great Value. 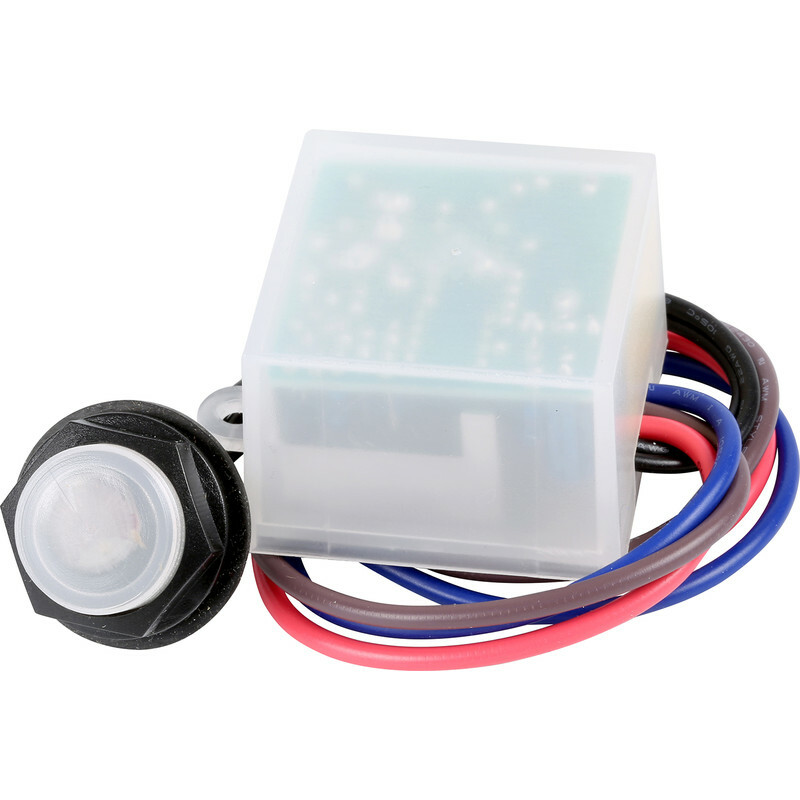 Bought this photocell sensor for outside light. Easy to install and good value.